The Black Eyed Peas are a hip hop music group that began in Los Angeles, California. They are known for a combination of genre-crossing sounds including rap and pop. Although they have been critically acclaimed since 1998 for their music and live performances, it has only been since the addition of the female singer Fergie to the group and the release of Elephunk in 2003 that they have enjoyed superstar status. The Black Eyed Peas' music has evolved over the years from an alternative hip hop sound which garnered them cult success to a pop and dance sound that broke them out to mainstream celebrity. The Black Eyed Peas released their debut album Behind The Front to critical acclaim. Their live dancing and their backup singer Kim Hill added much to an already impressive musical style. The Black Eyed Peas had an eclectic, positive sound, much like acts such as Jurassic 5, OutKast, and De La Soul. Joints & Jam, one of the songs from Behind the Front, made an appearance on the soundtrack of the film Bulworth. The Black Eyed Peas continued to succeed with their sophomore album, Bridging The Gap. By then they were well respected in the hip hop industry. Guest appearances were featured on the album from such greats as De La Soul and Macy Grey. Regular airplay of songs including Weekends and Request + Line on MTV's hip hop hours began, and the group occasionally leaked into alternative radio stations. Their creativity and willingness to go against the grain dubbed them as something of an alternative rap group, which widened their fan base. In a surprise move, the band added another member to the group: Fergie. She would replace their previous backup singer Kim Hill. Fergie, born Stacy Ferguson, is a buxom, Caucasian female with no previous experience in hip hop. She did, however, add to the crossover appeal of the group and made them more accessible to middle American white teens. Since adding Fergie to the group, the Black Eyed Peas have skyrocketed in fame. Their album Elephunk was a platinum-selling smash hit and spawned the single Where Is the Love, which was nominated for two Grammy Awards. The Black Eyed Peas' second album with Fergie, Monkey Business, also steamrolled to mega success, going three times platinum and earning the band four Grammy nominations. The single Don't Phunk With My Heart won a Grammy Award for Best Rap Performance for a Duo or Group, while the single My Humps shot up the charts to become one of the biggest songs of the year despite many music critics decrying the song as juvenile and tasteless. Commercial endorsements started flooding in for the band, such as those for Apple and Blackberry. The band's shift to a mainstream, pop sound became even more pronounced with the release of The E.N.D., which won a Grammy Award for Best Pop Vocal Album. The album produced Boom Boom Pow, the band's first song to reach number one on the Billboard Hot 100. Two more number one songs followed, I Gotta Feeling and Imma Be. Another single, Meet Me Halfway, was a smash hit in the U.K. and in Australia. Rolling Stone Magazine dubbed The E.N.D. the successor to Michael Jackson's Thriller and the Black Eyed Peas as the "biggest hip hop act on the planet." The Black Eyed Peas released The Beginning as a sequel to The E.N.D. Though the album was considered a huge commercial success, it charted lower than the group's previous two albums and received mixed reviews from music critics. The Beginning spawned two singles that topped charts in countries all over the world, including The Time (Dirty Bit) and Just Can't Get Enough. 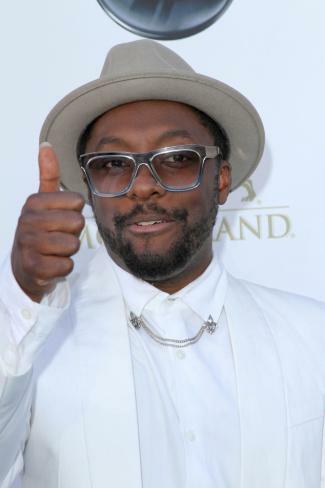 The founding members of the Black Eyed Peas, will.i.am and apl.de.ap, met as teenagers. The two were part of a break dancing troupe called Tribal Nation. They shared an interest in hip hop music, so they branched off together to focus on that. Their new venture, called Atban Klann, landed a record deal with Ruthless Records in 1992. Ruthless Records was a strange home for the upbeat pair, as it was owned by gangsta rapper Eazy-E. The album recorded by Atban Klann in 1992, Grass Roots, never saw the light of day because it was so different from what was popular at the time. Edgy, violent groups like Public Enemy and N.W.A. were driving the hip hop industry, not socially sensitive, break dancing ones. After Atban Klann left Ruthless Records, another MC and break dancer named Taboo joined the group. They adopted a new name, Black Eyed Peas, and began to draw a fan base around Los Angeles. The group's sound combined rap music and old school funk, but the overall effect encompassed something more, which truly transcended genre labels. Many fans of old school Black Eyed Peas have accused them of selling out in recent years. While once rooted in socially minded music, the group has now reached what many consider to be overexposed, star status. The addition of Fergie to the band seemed to be the catalyst for accusations of too much commercialism. Fergie, a former child actress, used to voice Sally on Charlie Brown and was a regular on the Disney series Kids, Incorporated. She dated Justin Timberlake before Britney Spears did. Fergie's life experience is a far cry from the ghettos of Los Angeles, where the other Peas grew up. Another indication of selling out is the massive amount of marketing tie-in work that the band does. They seem to be the unofficial spokespeople for corporate giants like Best Buy, Apple, and Verizon. The group maintains, however, that their message remains the same, corporate endorsements or not. In 2011, the Black Eyed Peas announced they would be taking a break to allow time for each member of the group to work on other projects. It seems likely, though, that the group will be back with a brand new album before too long. Over the years that have passed since they got their start, the Black Eyed Peas have proven themselves a group that can stand the test of time.